A global firm “is one that, by operating in more than one country, gains marketing, production, R&D, and financial advantages that are not available to purely domestic competitors” (Armstrong & Kotler, pg. 509). The world is seen as one market in which the importance of boundaries is minimized and global brands are developed. There are five strategies that “allow for adapting product and marketing communication strategies to a global market” (Armstrong & Kotler, pg.523). Three strategies pertain to the product and the other two involve communication strategies. When considering straight product extension, companies should ensure that there is a customer base for their products, and then task their employees with selling the products without any changes. This strategy has its perks because there are no extra product development costs, changes in the manufacturing or marketing processes necessary. Product adaptation calls for changes to adapt the product to comply with conditions in the foreign market. The textbook underlines Nokia’s efforts to cater to “people living in developing countries” (Armstrong & Kotler, pg. 526) by introducing dust-proof keyboards for areas like Nairobi and raising the ring-volume so phones may be heard in crowded streets in Asian countries. Reinventing an established product and/or developing an entire new product are called product invention. An example is Sony who added a new personal computer line to meet a need for smaller laptops in Japan. Communication adaption is a global communication strategy of fully adapting advertising messages to local markets. An example is the Kellogg Company which advertises their cereal as healthy and nutritious versus other brands in the U.S. However, in France where consumers drink little milk and do not indulge in breakfast as much; marketers need to point out how tasty and healthy the product is. Dual adaption calls for adapting the product as well as its promotion. Playtex had to reinvent their bras to sell on Asian markets because of Asian women being shaped differently. In Moslem countries women are forbidden to model underwear; hence fully clothed models hold up bras on hangers. Sustainable marketing is “socially and environmentally responsible marketing that meets the present needs of consumers and businesses while also preserving or enhancing the ability of future generations to meet their needs” (Armstrong & Kotler, pg.539). In contrast to sustainable marketing, societal marketing efforts only concentrate on the consumer’s welfare, and the strategic planning concept only addresses the company’s needs. Sustainable marketing aims to meet both, the consumer’s and company are immediate and future needs. Being truthful to customers and stakeholders is an extremely important key factor in building trust and a long lasting relationship with customers and stakeholders. Taking responsibility and accepting consequences of the marketing decisions and strategies are vital for this relationship as well. Being fair enables companies to balance the buyer’s and seller’s needs in order to enjoy a “win/win” situation. Communicating and making reasonable efforts to oblige customers, suppliers, intermediaries and employees shows a level of respect necessary to do business in a proper, safe and profitable way. Openness creates transparency in marketing operations; communicating with customers, accepting criticism and full disclosure of pricing lists and terms are vital to doing business. Fulfilling economic, legal, philanthropic and societal responsibilities through giving back to the community and striving to protect natural resources and participating in fair trade, constitutes citizenship. Armstrong, G., & Kotler, P. (2011). Marketing: An Introduction. 10.e (Global) Upper Saddle River: Pearson. Labels: Global Marketing Perspectives, What is Global Marketing? Charmin toilet paper uses all four marketing mix elements to promote their product. They do it by using marketing strategies to build loyalty with their customer. They use advertising to promote their product. Charmin also sells itself in the stores. You even see different ads in magazine or even when they are giving away coupons to promote their product. Charmin effectively uses direct marketing as well. Charmin has a website for their customers to visit and find out everything they need to know about Charmin. Charmin is every consistent about how they advertise and target the customer. Well after looking at Charmin thoroughly, I know that it does well with the customer. Because it has been around sense the 1900s. A lot of the customers prefer Charmin over any other toilet tissue because it is so soft and it works well when they are using it. My brand targets all ages of the customers and it has a good shelf live to it. No I would not change anything because it is targeting all of the customers that they need to target. The only thing that I would change is the price of the toilet tissue to maybe lower it a little so more of the customer would buy more of it then they do now. I think that they need to come out with a more different style of the packaging so they can get more customers. The bear thing is every nice but I think that they need to change it to something more coming out to getting more customer to buy the brand. I think that they need to put more rolls on it and a nice fragrant smell to it so when you are not using it that it smells up your bathroom in a very sweet smell. I also think that we need to change some of the brand so it helps customers that have problems after using the bathroom. The kind of packaging used is wonderful. The only difference I would make would to make the packages hold a lot more toilet tissue in it then holding 24 rolls making them hold like 36 to 48 rolls in them instead of the 24 rolls. I would also like to change the packages to where they will hold a bigger roll then the mega roll. They would need to make the super mega roll. Yes there pricing is somewhat up with some of the competitions. I think that they need to bring the price down just a little and then they would sale more and make more money then what they are making, because right now there pricing is like 4.39 for a 24 roll pack of toilet tissue and the competition is around 3.45 for a 24 roll pack. Yes it is being sold at the right places. We are sailing Charmin in all of the grocery store and at the retail stores also. They are also at the right location in the store where everyone that is shopping there can find it and buy it. I have nothing more to say about this brand. They have an awesome advertising team because they know where to go get attract their customers and they are sailing this brand at the right places because it they were not, then they would not still be in business making billions of dollars every year. This is a good product you need to come and try it. “Love is the most important ingredient of life.” Life is a recipe! “Your life echoes emptiness without it.” This is so true! What has your experience been? I’m sure not very different! “With it, your life vibrates meaning and warmth. Love will shine through even in hardship.” I know my life has change drastically. When true love is found… the pieces of the puzzle come together! “You will find as you look back upon your life that the moments that stand out, the moments when you have really lived, are the moments when you have done things in a spirit of love.” The spirit of love is not tangible… it is an intangible aura that can live within you, but without respecting it… it can leave just as quickly! “If you have it, you don’t need to have anything else. And if you don’t have it, it doesn’t much matter what else you have.” I agree… only as long as GOD is involved in this equation! What do you think? “Treasure the love you receive above everything else. It will survive long after your wealth and good health have vanished. The way is not in the sky. The way is in the heart.” I believe this is pointing towards an athieistic worldview. Not good! I do agree that love is in the heart… but GOD is how it is in existence in the first place! “Life in abundance comes only through great love.” Great love is the key to your happiness… Do you have love? Have you found love? If not… keep looking… it’s there for you! If so, cherish your love! Please let me know if you know who wrote this! Are Management and Leadership the same? Leadership and management skills, Are they different or the same? Leadership and management skills are complimentary but different. In an ever changing world leadership cannot function without management and management cannot function without leadership. Leaders are usually not hired but sought out from within a company. While seeking and training leaders these companies need to remember that having strong leaders with weak managers and vise versa can be detrimental to the company. It can prove to be a real challenge to find a good match for these positions. Managers deal with complexity while leaders deal with change. Leadership has become so important because the world has become so competitive. This brings major changes that are necessary to compete and survive. Management begins by setting a direction or vision along with steps for producing this change. Leaders put the employees in place. They carry out the directions to those committed to carrying out this management vision. Mangers ensure the plan by controlling and problem solving. They monitor the results with reports and meetings. Leaders on the other hand ensure the plan by keeping the employees going in the right direction. Managers are responsible for the planning process designed to produce results and leaders are responsible for direction setting. Now let’s look at personality styles between managers and leaders. Managers are problem solvers. They focus on goals, organization situations or people. They are question askers. Leaders are passionate not conforming risk takers. They try to achieve control of themselves first and then try to control others. There is a perception about leaders and that is they are often brilliant but sometimes lonely. The attitudes of managers and leaders are very different. Managers base their goals on what is necessary while leaders aim their goals towards personal issues. Managers are impersonal and passive towards their goals. Managers respond to ideas while leaders shape them. Managers combine people and ideas to establish strategies and make decisions. They coordinate and balance opposing views. They focus people on ideas and raise their expectations. Leaders on the other hand excite people with their visions and then they develop choices. Managers are often viewed by peers as the manipulative, detached, uncaring individual while the leader is empathetic and caring individual. Here again we come back to the manager has a vision and the leader has to align this vision. Managers focus on how to get things done while the leaders focus on getting it done. Now I am going to talk about self identity of managers and leaders. First let’s discuss mangers. Managers have reported that their lives have been pretty easy since birth and the adjustments have been straightforward. They have a sense of self which they use as a guide to conduct themselves. This comes from feeling at home with their environment. They see themselves as conservators and regulators. They also report that their roles agree with their ideas of their jobs expectations. Now leaders have reportedly not had an easy time with life. They constantly struggle to find a sense of order. They don’t take anything for granted in their lives. They will work in organizations but not join them. They report that their sense of self is independent of work roles. They display a life development process which focuses on personal mastery. The different functions of a manager and a leader, a manager coping with complexity and a leader coping with change shapes the characteristics of management and leadership. While mangers and leaders are not magicians, managers have a tough job of gathering and analyzing information and leaders are strategic thinkers who are willing to take risks. Organizations may interact with two types of environment: the ‘microenvironment ‘and the ‘macro environment’. The microenvironment is comprised of the organization’s suppliers, customers, marketing intermediaries and competitors. The macro environment is comprised of a variety of influences that affect demand for an organization’s goods; this includes demographics, economics, nature, technology, politics and culture. The microenvironment can be separated into an internal environment and an external environment. The internal environment may include the organizations management structure, as well as its employees. The external environment is composed of suppliers, customers, competitors and the marketing intermediates. I would also include employee’s families, since they may bare an effect on scheduling, benefits and may even receive discounts through employees. An organization is affected by its microenvironment as well as by its macro environment. The characteristics of the organization’s microenvironment affect its ability to deliver great service to its customers. The macro environment controls the societal forces which determine the opportunities and possible threats facing an organization. According to our textbook, marketing researchers do not complain about the lack of information; however the quality and usage needs improvement. “They don’t need more information, they need better information. And they need to make better use of the information they already have. Says another marketing information expert, “transforming today’s vast, ever-increasing volume of consumer information into actionable marketing insights …is the number-one challenge for digital-age marketers” (Armstrong & Kotler). So-called “customer insight teams”, headed by highly trained and motivated individuals, collect market and customer information from a variety of sources, to create a better value for the organization’s customer based. However, market researchers ought to be careful to let customer insights control their marketing strategies. A Marketing information system helps to validate collected information and make decisions based on complete research. The marketing research process has four steps problem and research objectives, developing the research plan, research plan, and interpreting and reporting the findings. Step 1 is known to be the most difficult yet most important step since it lays the ground stone for the research process. It would be a disaster to have found out that the wrong or distorted information had been collected, analyzed and maybe even used! Descriptive and causal researches are the two fundamental ways of marketing research. Descriptive research is used to better describe marketing problems, situations, markets, such as the market potential for a product or the demographics attitudes of consumers. Through conducting causal research market researchers and managers can” test hypotheses about cause-and-effect relationships. Pointing out the problem and developing a plan of attack guides the entire research process. In step 2, collected information is presented and an outline is drawn to determine research approaches, contact methods and sampling plans. Specific information as to demographics, life-styles and economic situation of customers and potential customers should be collected and analyzed to draw a complete picture of the organization’s market niche. Suppliers’ and retailers’ reactions to product lines need to be taken into account as well. A written proposal should include primary and secondary data. Primary data includes specific information gathered for the project at hand, and secondary data is pre-existing date which had been collected for a different purpose prior to the project. Step 3 asks to put the research into action by collecting, processing and analyzing the data. Accuracy and completeness are of top priority to avoid mistakes. In step 4 market researchers interpret the findings, draw conclusions, and report them to management. It is important to not overwhelm with statistics and unnecessary info. Managers and researchers must work together closely when interpreting research results, and both must share responsibility for the research process and resulting decisions. In summary, organizations are well advised to carefully research and analyze data collected from various sources. Working together, managers and researchers can build a powerful marketing team which can carry an organization to great health and prosperity, simply by knowing who and how to serve! My evaluation of Tide’s overall marketing mix would be very intense. There are so many different products. In my opinion, all the Tide products are very consistent with each other, from the Tide free to the Tide scents, to Tide with bleach to the Tide without bleach, liquid or power, your choice. In my opinion they all are the same quality. I think that Tide does an excellent job serving its customers. I think that Tide targets mothers mostly to get the children’s clothes clean and bright. Tide also targets people who have the need for getting stains out or from preventing stains by using the Tide to go pen. I think that Tide has covered all of the segments from families to industrial use and availability. Tide comes in an array of sizes from a pen to an extra large family box. To add to Tide’s product line would be a challenge because they have so many now. But I would like to see one that smells like passion fruit. The packaging to me is bright and colorful, so it catches the consumer’s eye, and it is unmistakable. I would not change the packaging at all. I believe that Tide is well priced. It is still inline with their competition, yet it is reasonability priced. I would pay more if the price would rise up because I totally believe and trust in Tide. They have so many outlets from convenience stores to major retailers, which makes Tide is easy access to anyone who needs to wash laundry. Now what I think would really be a good move on Tide’s part would be an outlet store. I am not sure that I would change the commercials because they are straight and to the point of what to expect out of the product. Things that I have learned about Tide in this assignment make me trust Tide even more than before. Tide stands behind its products. I know that no matter what scent or type of Tide that I chose to use I will get the best results. I am a loyal Tide customer. I also found out that Tide has partner brands which are Downy, Bounce, Febreze, Dryel, Dreft and Ivory Snow. The Tide web site has a lot of useful information on it; from different fabric care to helping you chose which Tide meets your needs the best. Why Vacations are so important to me? I have always found that vacations are an important part of a relationship… it reestablishes dwindled romance… my husband and I are committed to having at least 2 weeks a year together… I mean… there are 52 weeks in a year… don’t you think that you deserve at least one or two? People forget about their health… take Europeans for example… they take a couple of months off per year… the government finds it essential to the health…. When my husband and I are on vacation… it’s like we are on a honeymoon again… every year…. We have a honeymoon week… and an anniversary week… if we didn’t we would loose appreciation for celebrating those important milestones in our relationship…. We take the kids on a vacation the other week. This past year, I gave my sister a week to stay down here in Florida with her husband and kids… it was great… she would have never been able to do it in a hotel… with the vacation ownership… it cost her virtually nothing in comparison to a hotel stay… and the rooms were much bigger, efficient, and cleaner than any hotel that she could have stayed at for a reasonable rate…. Her kids loved the pools…. And she was able to relax about it too… these areas are safe in these resorts… in a regular hotel setting… she would have had to worry about the people around the vicinity… no security… ya know… safety and security is certainly a tremendous advantage to vacation ownership!!! This is how it’s done folks. You have to write out your story as if you’re speaking to your prospect. It is recommended that you go on a couple of vacation ownership sales presentations to see how the presentation flows. Adopt what you like, discard what you don’t! Pick the presentation apart by disecting every word, sentence, and even the body language used by the Licensed Real Estate Agent. Good Luck! While Florida may be a sunbathers and theme park lovers paradise, hidden gems tucked away along the state’s coasts and in between await visitors from both near and far. Whether travelers have just a few hours or a few days, there is something to entice everyone. Nature lovers will find canoeing along the Loxahatchee River at Jonathan Dickinson State Park in Hobe Sound, FL, just north of Jupiter, FL, making for a peaceful afternoon. After a relaxing day on the river, guests can spend the night in one of the cabins available for rent. For those who love nature, but are looking for an experience in the water, look further north to Fort White, FL. Just six miles long, the Ichetucknee River is famous for its premier activity of tubing. Visitors can bring their own tubes, or rentals are available at private vendors near the park. Guests can also snorkel, scuba, swim, and hike among other activities. There are also attractions for people who are looking to have a close-up encounter with living creatures. Considered the first undersea park in America, John Pennekamp Coral Reef State Park provides scuba and boat tours in addition to its most famous activity of snorkeling. At mile marker 102.5 on the Overseas Highway heading though the Florida Keys, the park is located on the northernmost key of Key Largo. Folks who prefer to be a bit further from the crowd, but still close enough for viewing, Blue Spring State Park in the central Florida city of Orange City is a designated Manatee Refuge and growing home to West Indian Manatees. While swimming with the manatees is prohibited, visitors will find plenty to do among the spring’s crystal clear water. Florida is also home to a few landmarks. Among the hidden jewels is Bok Tower and Gardens in Lake Wales, FL, a National Historic Landmark. With gardens, trails, and butterflies, nature can be viewed at its best in this Central Florida attraction. For a more hands-on visit, guests can golf, dine, stay or do all three at the Biltmore Hotel in Coral Gables, FL. Top off a visit here with a hands-on cooking class taught by the Biltmore chefs. Both adults and children can take classes designed for all levels. Foodies are also welcomed in the Sunshine State. The Reef Restaurant in Vilano Beach, FL (just north of St. Augustine) provides incredible views of the ocean as diners nosh on delectable dishes. Sundays are known for the fantastic brunch served, and diners can opt to sit on the outdoor patio overlooking the Atlantic Ocean. For a grand view of the gulf coast while dining on delicious seafood or steak, stop in at The Breakers in Panama City Beach, FL. Dine and enjoy a beautiful sunset on the west coast of Florida. For a taste of Europe without having to fly across the Atlantic, enjoy a bit of Germany right here in Florida. The famous Hofbräu Bier is served in two locations at opposite ends of the state. Along the southeast coast, guests will find the Hofbräu Beer Hall in Miami Beach. Northwest visitors can visit the Hofbräu Beer Garden in Panama City Beach. Each location serves five of the most popular Hofbräu brews, and offer authentic German dishes. And finally, enjoy fresh fruit, homemade jams and jellies, and incredible milkshakes made with fresh fruit at Robert Is Here fruit stand in Florida City, FL. The Key Lime milkshake is a treat! Local musicians provide live entertainment on weekends during the winter months. Whether it is nature, historic parks and landmarks, or just a good meal, from coast to coast Florida has something for everyone. Women’s Suffrage Sites Around Washington D.C.
On Washington, DC’s 144 Constitution Avenue NE, a nineteenth-century red brick house sports plaques stating the building’s role in early U.S. history. But none records what’s really significant about the former private mansion: this is where women fought for equal rights in the United States from 1929. This, the Sewall-Belmont House, holds the heritage of the most important leader of women’s fight for the vote 100 years ago – Alice Paul. It’s where she lived for years promoting the Equal Rights Amendment she launched in 1923. The amendment has never been ratified. Paul was key to the peaceful campaign for women’s civil rights, as depicted in the movie, Iron Jawed Angels . 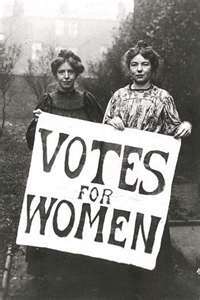 From about 1910 to 1920 the U.S. capital focused her organization’s struggle for the vote. Yet marks of this momentous era are largely forgotten. Round the corner at the Supreme Court, there’s a plaque saying this 1930s edifice takes the place of the Old Brick Capitol. It fails to mention that this building, whose pediment proclaims Equal Justice Under Law, replaces the 21-25 First Street NE property where Paul crafted the Equal Rights Amendment, launched originally in 1923. Eminent domain wrested this latest headquarters from the women in 1929. Close by, much of the struggle for women’s votes take place in the U.S. Capitol. The best place for information on this is Mary Walton’s new book, A Women’s Crusade . Pennsylvania Avenue is where the massive women’s march for suffrage on March 3, 1913 struggled through a riot of attacking men. On Lafayette Square, the plaque on the Tayloe-Cameron House on Madison Place leaves out that this is where Alice Paul’s National Women’s Party (NWP) members walked from to begin the first-ever picket of the White House in U.S. history on January 10, 1917. Across the square at 722 Jackson Place nothing marks this approximate location of the NWP’s headquarters in 1919 and 1920, where women continued their struggle, only to experience being imprisoned and tortured for their peaceful demonstrations. The NWP moved to the First Street NE location in 1922. Twenty miles south, in Lorton, Virginia, the Occoquan Workhouse Museum has an exhibit about the illegal imprisonment of NWP women there in 1918 and 1919, including original documents, photos of women in the prison and a sample of the heavy tube forced down their nose to feed them during their hunger strike. And about 160 miles north in Mount Laurel, NJ, a visit to Pauldale’s idyllic setting gives you a sense of Paul’s Quaker background – so peaceful in contrast to the torture she experienced during her nonviolent campaign for votes for women. Paul died close by in the Greenleaf Nursing Home at Moorestown in 1977, still campaigning for the ERA. The Sewall-Belmont House, which is undergoing renovation, plans a re-opening during Women’s History Month in March, 2011. Labels: Women’s Suffrage Sites Around Washington D.C.
Finagle a Bagel’s is a bagel manufacturer, retail bakery and café in the city of downtown Boston. In the suburb part of Boston they have seventeen stores and wholesale business that deliver bagels to the hospitals, caterers, and universities. Finagle a Bagel has twenty to twenty-five million in revenue including wholesale and retail. They have a total of seventeen retail locations with three and fifty wholesale customers and four hundred and fifty employees. Their marketing mix consists of fresh food at a fair price which gets delivered every day from its many different avenues of distribution. They also distribute variety of bagels to local supermarket’s, this is how they get their business to grow. In total they have two hundred stores selling their bagels under their name which is a brilliant low budget way to market their product says Bob Novak, Director of Wholesale Operations. Another important factor of their marketing mix is the way that Finagle a Bagel has managed to stay in tune with the customers likes and dislikes by means of close customer relations, they know who wants what just by a customer entering the store or calling in an order. Finagle a Bagel really extends itself in all aspects of customer relations by being beneficial to the consumer as well as themselves. Even at retail level consumers receive benefits with a value point card which enables customers to receive things for free. The more money spent the more points earned. Finagle a Bagel feels that customers have but so much dining dollars to spend why nit spend it wisely. They are then afforded the opportunity to receive items from the menu. Finagle a Bagel has managed to fuse all of their marketing ploys in a way that isn’t at all overbearing to the consumers but in turn manages to give them a sense of appreciation and control. Demographics show that giving the consumers the power to personalize food items has proven itself over the years to be a success. Other things such as live family entertainment, and the free sampling of food can be beneficial to their success. Co. President Allen Litchman is in charge of the money and maintaining the high quality of the product that the consumer has become accustomed too without jeopardizing the risk of having to cut back on such things as, the customers rewards, or friendly family days which have become somewhat of an expectation to the surrounding communities. This is an example of forces from the marketing environment that can create beneficial opportunities if not managed correctly. Change in their marketing can be the very force that threatens the firm’s marketing strategy. It is my personal opinion that Finagle a Bagel has diligently and vigorously implemented the marketing concept which has been the key to their growth and development, says Allen Litchman and Laura Trust co. presidents of Finagle a Bagel. A great deal of success is attributed from Karen Robinson, the director of Marketing, Human Resources, Research and Development. Karen has been a part of Finagle a Bagel since 1985. Karen’s innovative ideas and marketing strategies have been able to overcome adversity, for example, in order to compensate for slacking wages during the lunch period Karen came up with an idea of handing out free sandwiches to drivers and passersby which included a coupon for another free sandwich, this is a suggestive way of marketing. This marketing strategy in return drew newly acquired consumer traffic into the stores and gave consumers a chance to see for themselves all of the things that Finagle a Bagel had to offer. According to Karen Robinson, the cost of this marketing strategy was no more than a hundred dollars. While on the other hand, the boost in retail sales, and word of mouth marketing was well worth it. Ben and Jerry’s, an ice cream manufacturer that got its’ start in a tiny Vermont garage in 1978 has run it’s company the past three decades based on following founder’s Bennet Cohen and Jerry Greenfield’s values not their urge to increase profits. Although the small company quickly grew into one of the most well known Ice Cream manufacturers in the United States, they have not let success impair their starting mission to put moral value before monetary increase. The company has been recognized several times for their social consciousness, it’s donations to charitable and environmentally beneficial programs. This and several other creative, unique marketing strategies has helped them to develop one of the most well known marketing mixes on the ice cream market. Once you combine their socially, environmentally conscious idealism with their psychedelic packaging, the super premium ice-cream treats could possibly sell themselves. The companies web site offers a better look at the several campaigns that the company supports. In a section entitled “Priority Pie” they offer an in-depth look at the various projects that their companies values represent. In this portion found at http:/benjerry.com they also offer various ways for their customers to join in on the support. Some of the programs that Ben and Jerry avidly supports include, Kids Count, Allocate the Federal Budget, Children’s Defense Fund, Nuclear Weapons Resolution, and The National Priority Project. They are also actively involved in several environmental protection fundraisers. This doesn’t really surprise me since Ben and Jerry’s has been such a socially and environmentally concerned company since their dawn. Although it was not intentional their concern has proved very profitable, as I will discuss with more depth later in this report and has proved one of the largest portions of their marketing mix. Having a brief history of Ben and Jerry’s beliefs that were the basis for their establishment will help readers to more fully appreciate and understand the company’s marketing mix. Part of the company’s success relies on the fact many consumers feel good about buying a product that strives to give back to the world, and leave it in a better state than what they found it. After all wouldn’t you feel better buying a product you knew was not only delicious and beneficial to you, but also knowing that you are helping others by buying it? Not only is it the most socially conscious ice cream products available, it is also ranked as one of the healthiest. Ben and Jerry’s uses only cage free humane eggs, and steroid free milk from small, family owned farms in Vermont and other U.S states. Many of the ingredients are completely organic, which in todays’ health savvy consumer market is a huge seller. So as it seems the original values that Ben and Jerry’s has strove to preserve has also served to be a very profitable part of their marketing mix. Aside from being winners of awards such as “The quality of life” award (1992) and “Most sociably responsible company” (2006) Ben and Jerry’s ice cream products are just plain fun. As if the bright 1970′s inspired packaging doesn’t speak for itself, the company offers fun flavors such as “Cherry Garcia”, “Half Baked”, “Peace pops”, and “Chunky Monkey”. The creative names combined with the delicious candy and brownie recipes attract the consumer’s attention and leave their taste buds craving more. Each year the company has contests for customers to create new flavors, and also design new packaging. Of course as we have all learned throughout this course many consumers are more likely to purchase a product in which they share involvement. This is just a very few of the consumer sales promotions Ben and Jerry has to offer to their fan base. As we learned in unit nine’s discussion, offering a fun product market helps create and secure sales from several target markets in many different genres of business. The product packaging, bearing colorful and creative images is sure to grab the consumers’ eye is another major part of their somewhat mixed up, unique, yet completely effective marketing mix. In my opinion if you sent shoppers into a supermarket and told them to pick out the first gallon of ice cream that catches their attention I would bet the majority would come out with Ben and Jerry’s under their arms. Fun, feel good products create very competitive markets in which very few, if any can compare to Ben and Jerry’s unique packaging. The images will remind the older market of the past, and the younger markets of the original intention for ice cream: celebration. Of course the Ben and Jerry’s product line is also highly attractive to the environmentally conscious since their packaging is made entirely of all natural Forest Stewardship Certified (FSC) paperboard from completely sustainable forest reserves. The majority of their packaging is also biodegradable. The environmentally concerned will also be pleased to notice on the label, the bright, bold lettering urging consumers to recycle the container. All of this creates a wonderfully refreshing packaging strategy that is sure to leave the consumer pleased with their purchase and wanting more. Another beneficial strategy offered in Ben and Jerry’s marketing mix is the availability of their products. The super premium ice cream is selectively distributed in several sizes ranging from single serve cups to two point five gallon buckets. If you are in the mood to go out for cones, ice cream is available in all of the funky, fun flavors at Ben and Jerry’s Scoop Shops across the globe. Although in store placement is generally found in well known supermarkets Ben and Jerry’s will occasionally offer it’s novelty ice cream treats, such as the “Peace Pops” at retail shopping centers at discounted rates. This strategy combines both consumer sales promotion and product availability. As product popularity increases the venues where it is available holds pace. Outside of the design and create promotions other promotions that are regularly available include the Scoop Shop’s “Free Cone Days”. In the 2006 Highlights section of the social and environmental reports found at the company’s website, compiled by CEO Walt Freeze one of his most memorable experiences of the year was going to a Scoop Shop in Vermont to find a line for their cones wrapped around the building. Another highlighted event was when the line for the cones stretched through an entire shopping mall. By offering samples of their product Ben and Jerry’s not only secures their preexisting consumers but also is able to establish brand new customer relationships. Fun consumer sales promotions will benefit almost any company, but at a company such as Ben and Jerry’s where even the packaging screams of fun, the results are phenomenal. In 2006 the company, co owned by Unilever went global. After donating to the many projects the company supports, a maximum profit of over five million dollars was documented in the U.S alone. Considering the large portion of their profits that are donated to support the founder’s values this is a pretty impressive sum. Also impressive is the fact when milk prices decrease, Ben and Jerry’s continues paying originally decided prices on milk to their small, family owned farms instead of benefitting themselves in a time that could cause significant increase to profits. In the “Our Values” portion of the website, it is made clear that they would rather help to sustain their provider’s well being rather than take advantage of hard times. Ben and Jerry’s target market varies from the very young to the older, young at heart crowd. Their aim to please consumers does not discriminate based on economic status, age, gender, or race. People of all ages and ethnic backgrounds love ice cream. Ben and Jerry’s acknowledge this by offering something for everyone. Based on my analysis I wouldn’t expect them to change their target markets. After all if your market includes large variations of people how can you lose? Their market mix in my opinion is appealing to most, and well worth the extra money because their products are so delicious. In a market as elastic as the ice cream market it is important for manufacturers to stand out in the crowd. Ben and Jerry’s super premium ice cream does just that. I honestly can’t think of anything that I would change about Ben and Jerry’s marketing mix. It is unique, creative, socially responsible, and most of all they don’t make promises to the consumers they don’t keep. Very few companies offer such wide variety, and original marketing. Even less offer are as beneficial to the human race. After analyzing their strategies of business I feel truly inspired and, to be honest a little hungry! Although they don’t have any fancy television ad campaigns, or extensive advertisements they really bring the competition to the table. Sometimes actions and values speak for themselves. Dissertation proposals represent some of the highest levels of work that one can produce. Going before an audience of faculty, ready to defend your ideas, your research methods, and your overall study can be intimidating!!! You need to be well prepared indeed for these assignments! Understandably, the dissertation phase of your studies may seem overwhelming initially because of the amount of writing involved and the significant amount of original research required by the dissertation. You may feel like your coursework has not left you thoroughly prepared for writing your dissertation. You may feel apprehensive about whether you are fully prepared to move to the next stage in your academic writing, whatever that stage might be. This is a good time to assess what you know about where you have been, and how it has helped you prepare for where you are going. The good news is that you do not have to face what may seem like a daunting task alone! You need to have a cadre of people and other resources available to you during the writing process. If used wisely, these resources can lessen your anxiety, allowing successful completion of both your comprehensives and your dissertation. This support team can consist of your family, friends, colleagues, co-workers, mentors, past instructors, or virtually anyone! After this support network is structured, you’ll want to brush up on the elements of good academic writing, and then delve into the components that are specific to the dissertation. Some of the differences among writing your course papers and a dissertation may not be immediately obvious. Just how hard can it be to write a dissertation? After all, it’s simply a project that is longer and takes more time to research and write – correct? In general, the differences among these types of writing and research projects are straightforward. Your University should provide you with a Dissertation Manual to be followed. If not, no problem! Choose a dissertation topic, conduct a little research… and find a dissertation that you would like to use as a model to structure your own. Of course, you must consider the worldview (paradigm- qualitative or quantitative), and you should consider the research methodology being applied. An engaging and relevant introduction. A specific focus which may be a thesis statement, a hypothesis, a research question, an argumentative claim, or other term. Clear main points that develop and support your focus. Supporting evidence for your main points. A conclusion that provides closure to your text without necessarily summarizing it. If these elements are present in your advanced academic writing, you will be building on a strong foundation. As you prepare for the comprehensive exam and dissertation, you will need to thoroughly research and think about your material. Sometime during this research and thinking process you will begin to write. Where you start writing – for example, with the body of the text instead of the introduction – is entirely up to you. The most important thing is that you have a writing process that works well for you. What is the Ringelmann Effect?